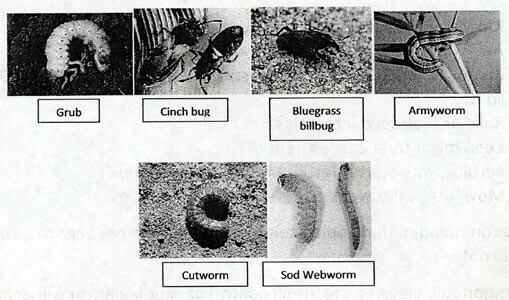 During the summer months lawns are susceptible to bugs like grubs, cinch bugs, bluegrass billbugs, armyworms, cutworms, and sod webworms. In no time they can destroy sections if not the whole lawn area. Your lawn becomes their smorgasbord. In the past the remedy was to get out the sprayer and kill everything in the area. This included both pest and beneficial critters. This had to be done on a day when the temperature was right, the wind was right, and someone with a license was available to do it. In today’s world of litigation it is time to rethink this approach. It is time to use a more organic approach to controlling these pests that eat your lawn. 3. Broadcast BUG GUARD over existing lawn at rate of 8-10#/1000 sqft. 7. Mow after third week.